hd00:07Group White Swans eating corn. Winter, ice, snow, frozen rivers and low temperatures. 4k00:20Geese eat from trough. Herd of white poultry. Birds are fed well. Good conditions for farming. 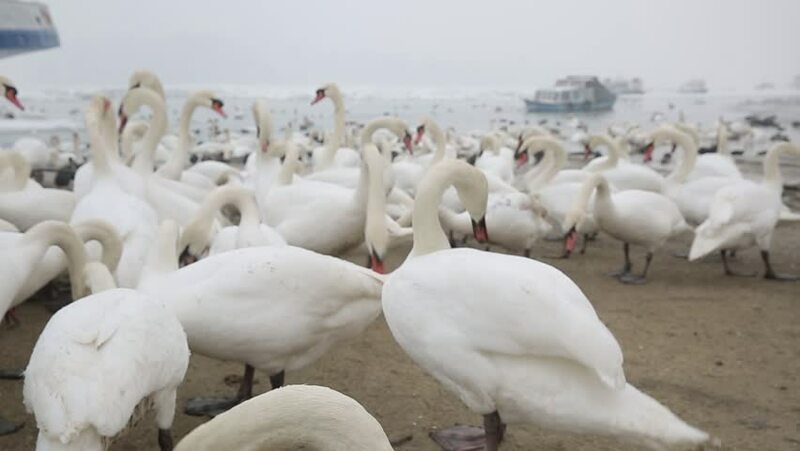 hd00:33Flock of swans on frozen river shore.